Good Morning Doodlebug Fans! 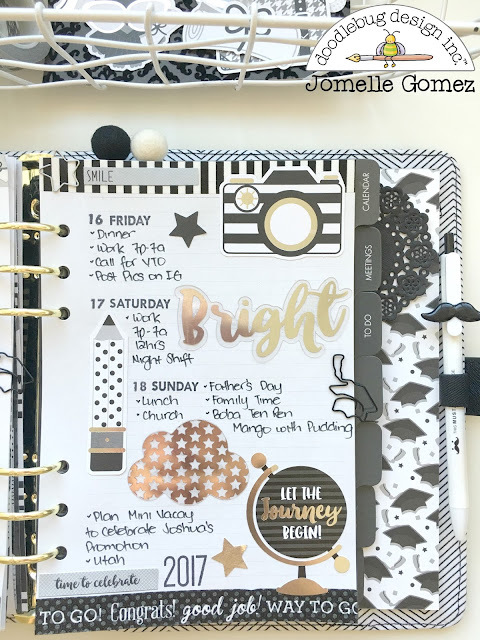 It's Jomelle today and I'm excited to share my planner project using the Hats off collection. It's that time of the year to celebrate our 2017 graduates. 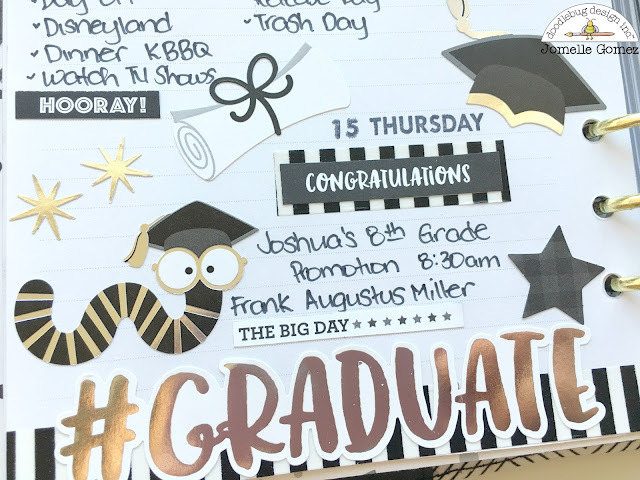 It just so happen that we will be celebrating my son Joshua's 8th grade promotion next month. 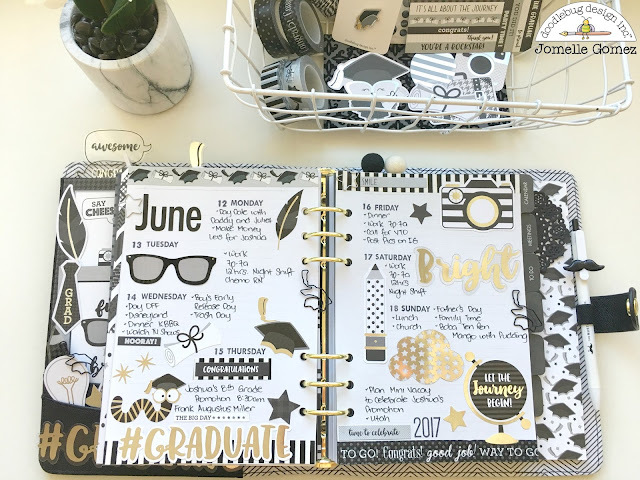 This collection is perfect for this celebration. This is my very first Black and White with a hint of Gold theme layout that I've ever done. I decided to use my Black A5 Kikki K planner to match this collection. 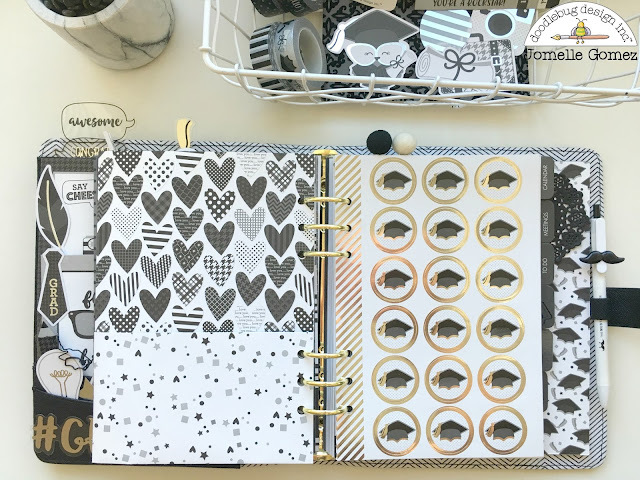 The odds & ends are so fun and so easy to use in decorating and stuffing my planner pockets. I made this dashboard by using this really pretty "beetle black" velvet cardstock paper. I used more of the odds & ends as embellishments. 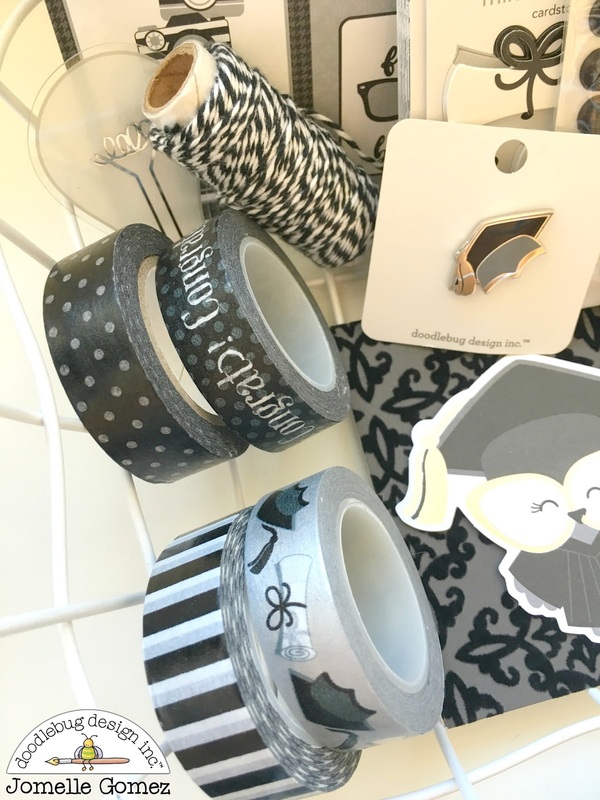 I added the black and white twine as strings for the balloons. The ribbon award can be removed so that I can add my son's photo as part of the dashboard. 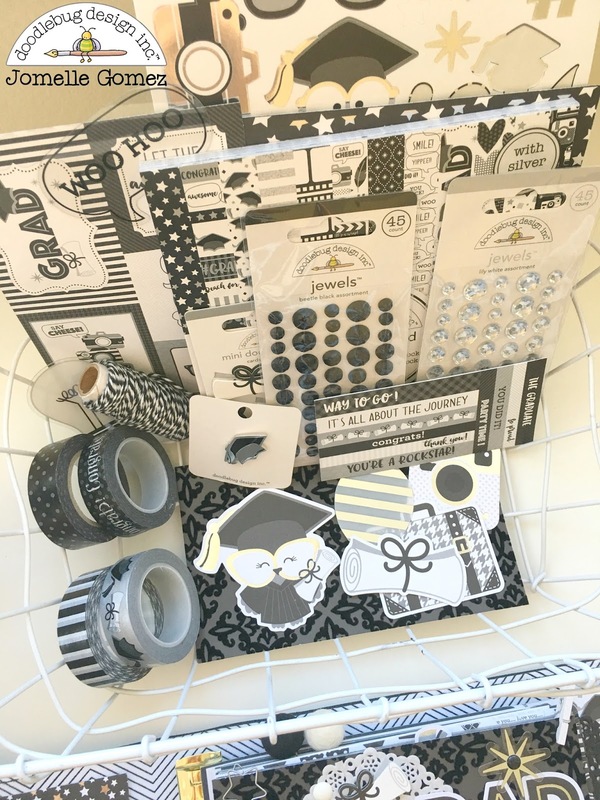 I used the black and white sprinkles to add more textures on one of the balloons and on some part of the white doily. This vellum paper is so pretty that this picture doesn't even do justice. 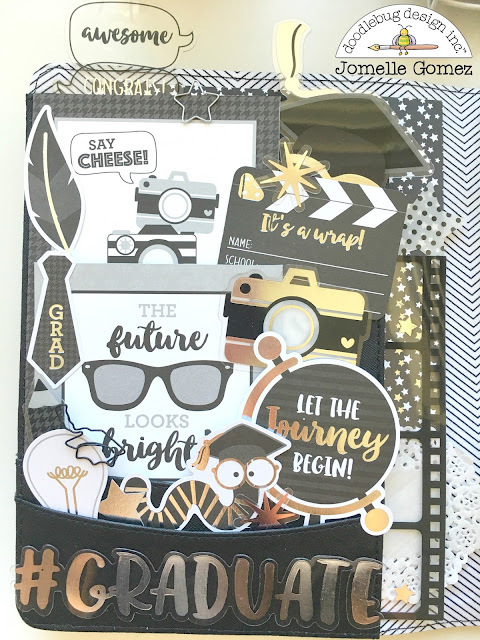 I cut another carstock with the stars design and I thought it goes so well behind the vellum paper. I will use this page for memory keeping. I will add my son's Promotion picture in the open space. I made a pocket dashboard using party hearty 12x12 cardstock. It's so easy to make and the pocket is very functional. I can use the pockets to tuck in some memorabilia from my son's Promotion. 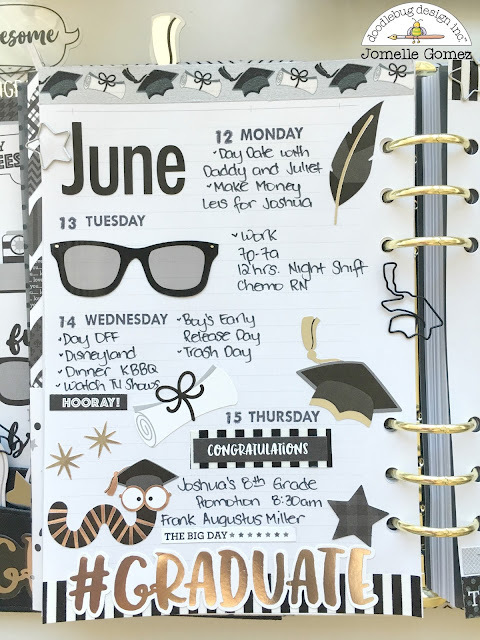 Here is my weekly layout in the month of June during my son's Promotion week. I used this white basket to keep all my Hats Off goodies together. These are the washi tapes I used. How cute is that graduation cap pin? Thank you for stopping by. 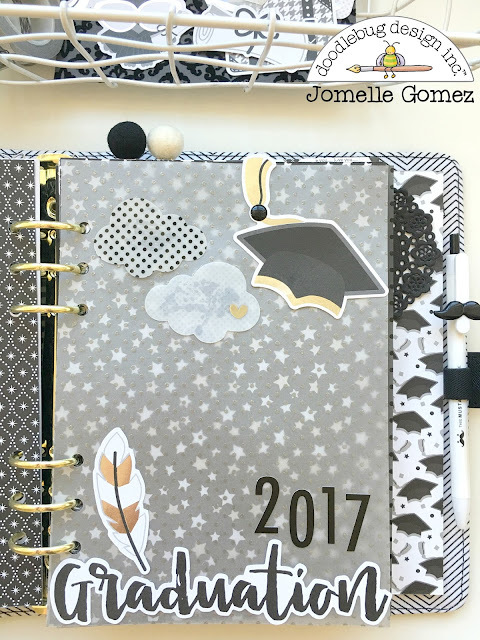 Congrats to all the 2017 Graduates. Love this!! The pockets are awesome!